Bryant Minuche's culinary journey started at a young age in his family's restaurant. 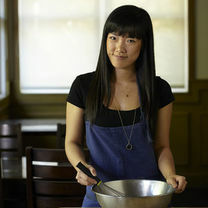 After graduating with a Bachelors in Culinary Arts Management and a concentration in American Food Studies of Farm to Table, Minuche had major stints in Three Michelin-starred restaurants — Eleven Madison Park and Le Bernardin. 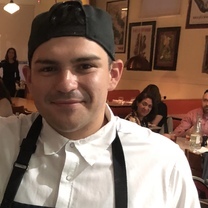 Minuche moved back to California and helped open Ninebark in Napa, working alongside Chef Matthew Lightner. After Ninebark, Minuche went on to work with Chef Polly Lappetito at Ciccio Napa Valley, learning traditional Italian flavors. Minuche incorporates everything he has learned along his culinary journey, and puts his own twist on traditional Italian cuisine. "Egg fried True Cod, Herbed Rice, Roasted Mushrooms deglazed with Seafood brodo & Herbs #uglybutgreat"
"Black Cod, Smoked Tomato Jus, Cherry tomato & Olive relish"
"Beef Tartare, Garum-Caper Vinaigrette, Egg Yolk Jam, & Pickled Ramps on Sourdough Bread"
"Sweet Corn Veloute, IPA Butter, Sourdough Croutons, Basil, Pumpkin Seeds"
"Azalea Spring Farm Egg, Buckwheat polenta, Baccala, pickly & crispy things on top"
"This pizza has a great crust with a sourdough flavor that holds up well with the toppings. This place is a wonderful locals joint that also has a fantastic list of Negroni cocktails."